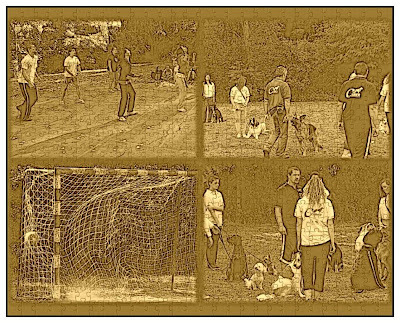 The last programme of the Sports Day on 29th September was the Dog Show. I take part in a training course of the Dog School led by Mr Jozsef Czimre. Mr Czimre has helped the training and socialisation of the dogs and of the people from my town of Szolnok and its neighbourhood since 2005. Many members took nationally proved exams with their dogs. 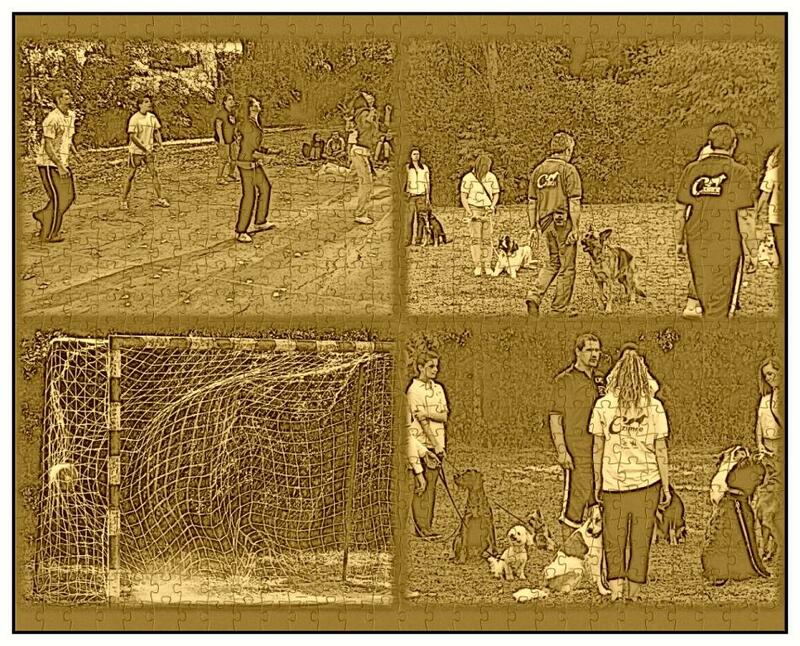 In 2007 a team has been set up with the higher trained dogs of the school and I had the chance to invite some owners and their dogs for the Sports Day. The school is a very good opportunity for the dogs older than three months to learn to behave in the society and in the kennel, to be socialised and to develop their instincts from the basic exercises (sitting, lying, coming back) to the difficult ones (fetching, trailing, guarding, agility, Frisbee). The owners can choose from a huge variety of exercises. help during the learning and practising process is given for everybody by the trainer(s). Moreover, there is a possibility for older dogs to take different exams of obedience, endurance, etc. After the event I heard from my schoolmates that they found this programme very interesting.